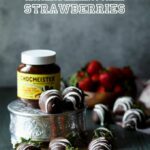 This recipe for Chocolate Hazelnut Filled Chocolate Covered Strawberries was created in partnership with Peanut Butter & Co. As always, all opinions and recipe are my own. Thanks for supporting the brands that support Shared Appetite! 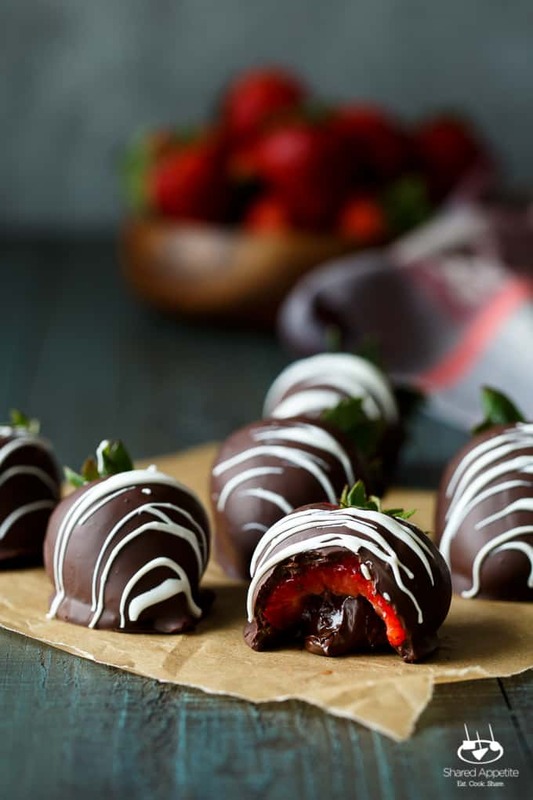 These addicting three ingredient Chocolate Hazelnut Filled Chocolate Covered Strawberries will instantly become your favorite easy entertaining dessert! I have an extreme weakness around chocolate covered strawberries. Like, I honestly feel bad when someone puts out a tray of them at parties, because it’s pretty much a guarantee that I’ll inhale the majority of them before all the other guests even know dessert is being served. They are just so freaking addicting. It’s impossible for me to stop at one (dozen). And that’s just for regular ordinary chocolate covered strawberries. But now I had to go ahead and stuff ’em with chocolate hazelnut spread. Yup, I did. You’re welcome. For the record… yes, I (along with some hefty help from Asheley) did eat the entire batch of these in one sitting. 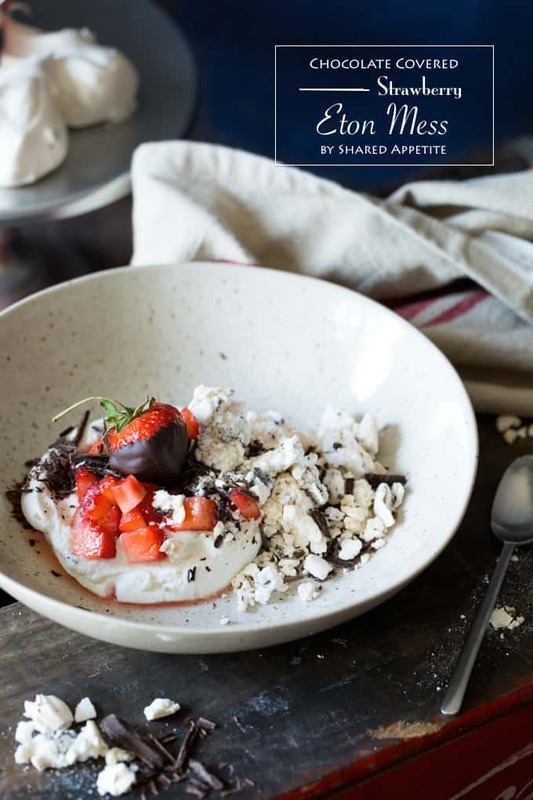 Don’t judge, because you’ll be joining in once you make a batch of these Chocolate Hazelnut Filled Chocolate Covered Strawberries. You’d never guess that these little beauties were hiding one of life’s most beautiful treasures deep within it’s chocolate candy shell. That when you bit into these glorious dessert gems, loads of chocolate hazelnut spread will ooze out, making your eyes widen and hearts smile. 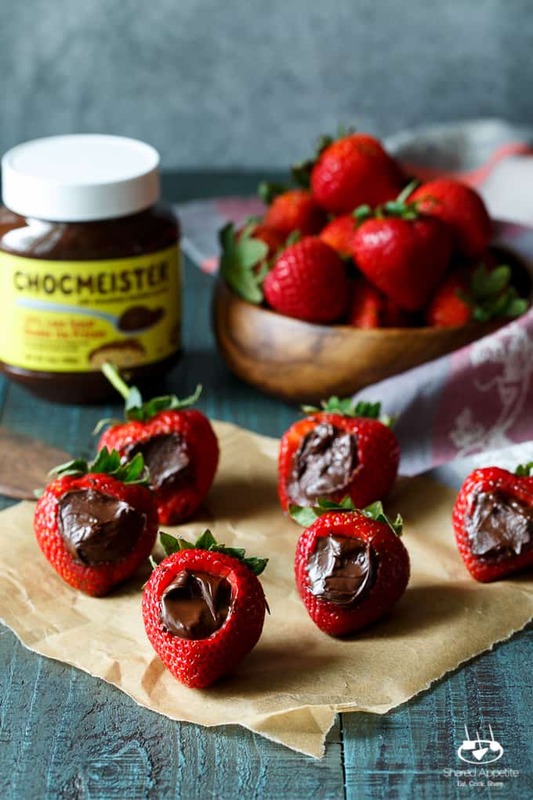 It’s all thanks to Chocmeister® Milk Chocolatey Hazelnut Spread. It’s the newest amazing product from Peanut Butter & Co. Which, by the way, is located right here in New York. If you’ve ever tried any of their peanut butter products before, you know these guys are beyond legit. This Chocmeister® is no different. 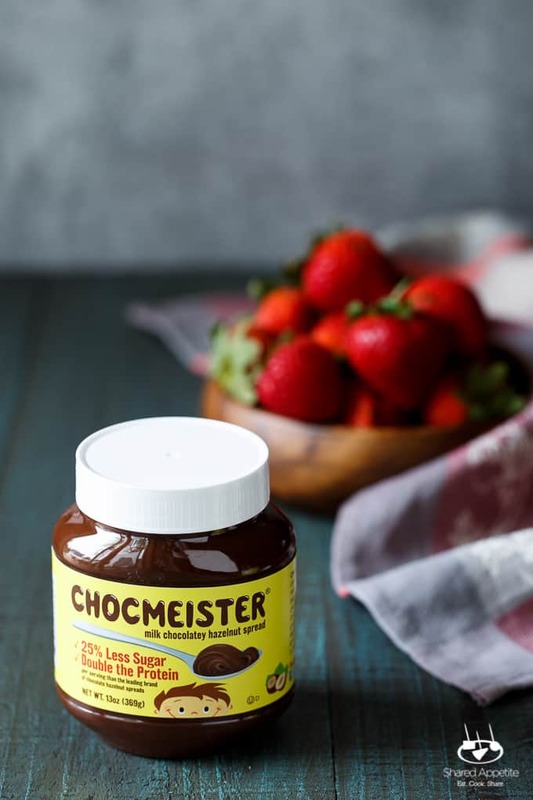 It’s got all the amazing flavor of chocolate hazelnut spread, but with 25% less sugar and double the protein per serving. Hello beautiful. And yes, you better believe I read that to mean I can eat a whole lot more of it without feeling guilty. Plus, we’re technically eating strawberries here, anyway. 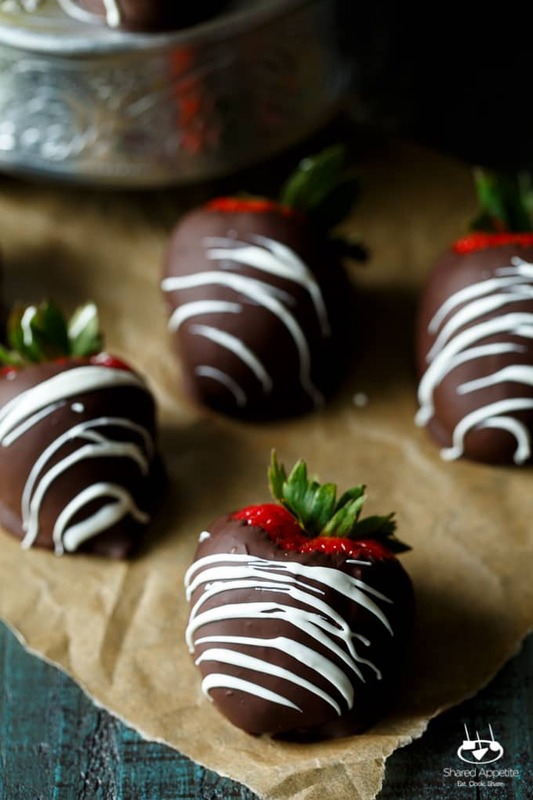 Making these Chocolate Hazelnut Filled Chocolate Covered Strawberries is ridiculously simple. 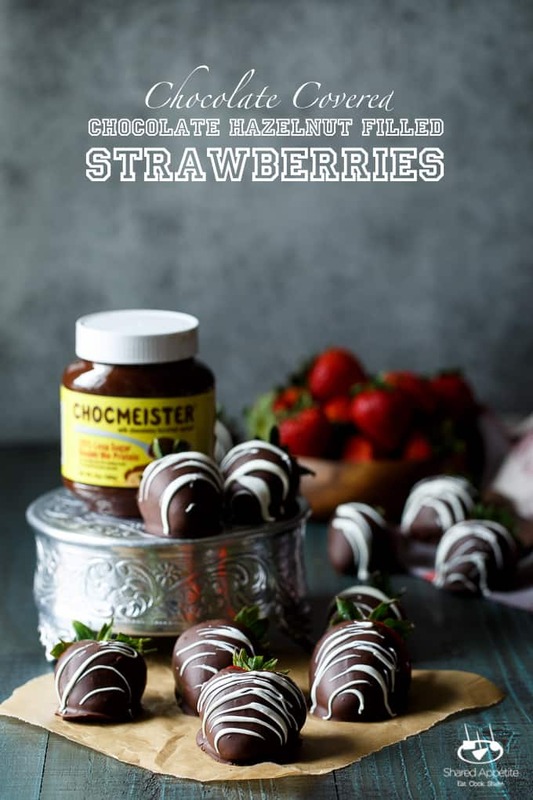 Just cut away a hole in the side of each strawberry, fill her up with chocolate hazelnut spread, and dip them in copious amounts of melted chocolate. The hardest part is waiting for the chocolate to harden before inhaling them. Seriously. Using a small paring knife, cut a small hole approximately 1/2″ in diameter in one side of each strawberry. Fill completely with chocolate hazelnut spread. 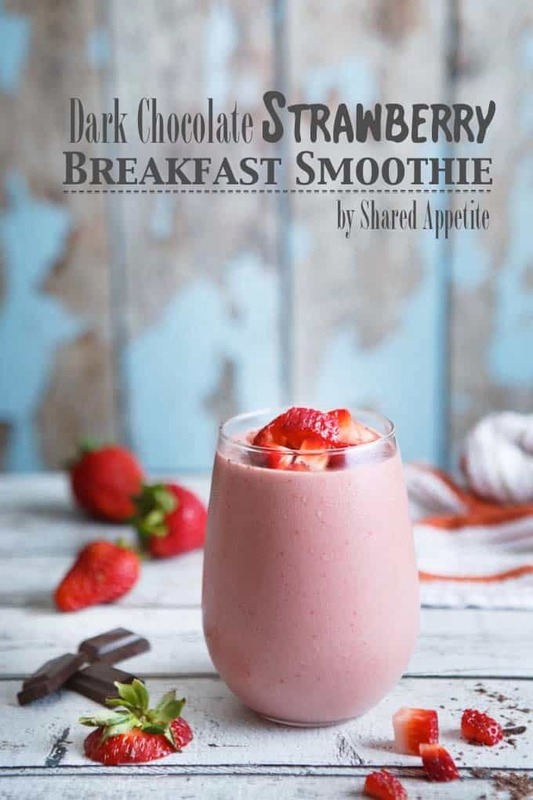 Holding the strawberry by the stem, dip each strawberry in melted chocolate, letting excess chocolate fall back into bowl. 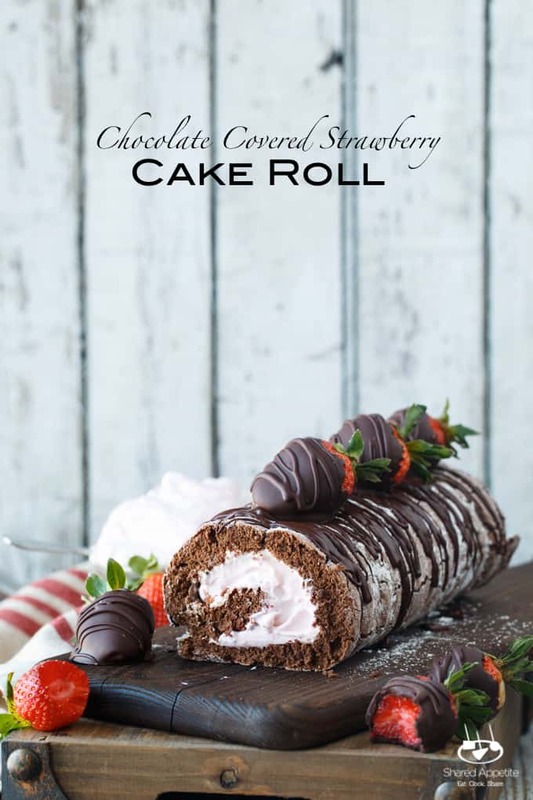 Place on a parchment paper lined baking sheet and repeat with each strawberry. Let chocolate set at room temperature for about 30 minutes, or if in a rush or impatient like me, place in refrigerator for 5 to 10 minutes. Dip a small fork or spoon in melted white chocolate and drizzle the white chocolate over strawberries. Let white chocolate harden before serving. 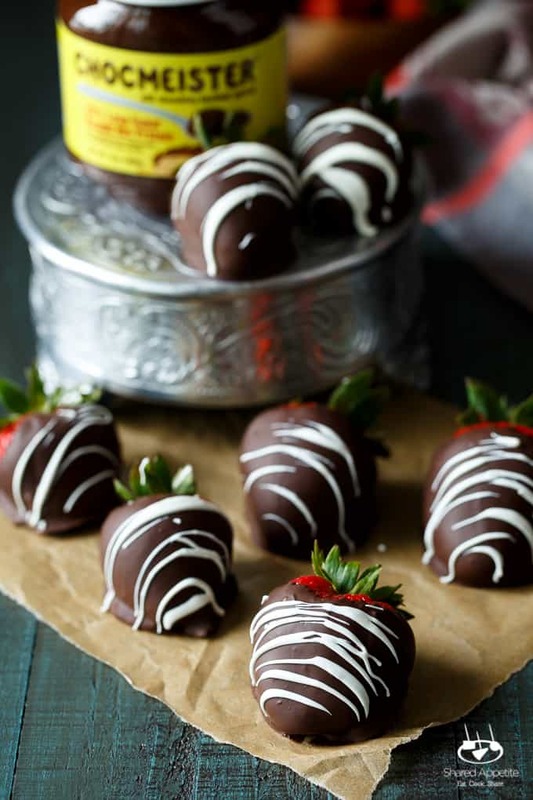 Need More Chocolate Covered Strawberries? Oh wow, these look phenomenal! I didn’t think it was possible to improve upon chocolate covered strawberries, but lo and behold, you’ve done it! These look completely irresistible.